To meet the increasing demands of industrial imaging and printing, manufacturing solutions must be able to produce complex, high-resolution 2D images with consistent quality at a very fast rate. DLP technology is already used in high throughput 3D printing and printed circuit board (PCB) lithography using ultraviolet light sources. Extending support for near-infrared (NIR) light sources now brings the same benefits of fast print speed, fine resolution and real-time adaptability to an expanded list of industrial printing applications. Here are three ways TI’s latest digital micromirror device (DMD)– the DLP650LNIR – solves challenges in industrial imaging systems. 1. The DLP650LNIR supports high-power NIR lasers. Today, NIR lasers are used across a variety of industrial imaging applications, including selective laser sintering for 3D printing, laser marking, digital printing and laser ablation. These NIR laser-based imaging systems deliver enough thermal energy to melt, ablate or activate materials such as plastic or metal powders, inks and thermally sensitive coatings and substrates to produce 2D patterns onto a surface. To enable a wider range of print materials, the DLP650LNIR DMD is optimized to support 950 to 1150-nm NIR wavelengths and provides the highest optical power handling capability TI has released to-date at up to 500 W/cm2. 2. The DLP650LNIR delivers 2D printing exposure. One example of an industrial imaging system is late-stage product marking for the medical or food industries, where regulations require more information to be printed on every package to track its path through the supply chain. Digital marking solutions add unique patterns or images to each object late in the manufacturing process. These systems require real-time customization and more complex information and graphics without sacrificing production throughput goals. In existing laser-marking systems, a laser beam may be steered point by point to produce a custom image on a thermally sensitive label or coating. But now, laser marking systems can use DLP technology to thermally expose a 2D area in one shot, rather than point by point, so the rate of marking stays constant even when generating complex and large codes or patterns. The DLP650LNIR has over 1 million micromirrors, enabling the exposure of a large area to the laser all at once and thus the printing of fine details and more consistent outcomes than existing technologies. 3. The DLP650LNIR offers a high degree of programming flexibility. Another example of an imaging system is a 3D printer using NIR lasers to sinter powdered materials layer by layer into 3D objects. As 3D printing matures from rapid prototyping to true digital manufacturing, the need for tight control of print processes, especially thermal variations in the print chamber, becomes ever more critical. The fast switching times of the micromirrors on the DMD (microseconds) can increase and vary the laser intensity delivered to the print surface. When paired with the DLP650LNIR’s digital controller, you can program and deliver custom grayscale patterns in real time to modulate thermal energy delivered per pixel for real-time correction of each print layer. This speed and flexibility enables reliable and precise sintering for finished goods with fine feature sizes and robust internal mechanical structures. The DLP650LNIR delivers both the high speed and printing consistency needed for industrial-level manufacturing and imaging with near-infrared (NIR) lasers. 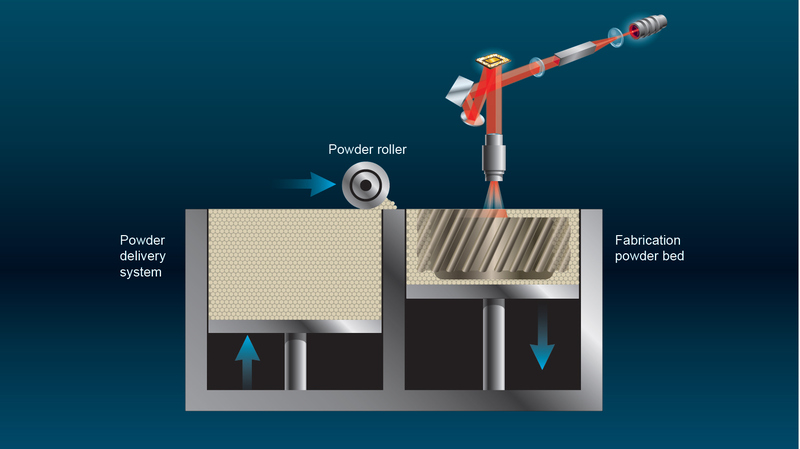 The DLP650LNIR expands the range of industrial printing applications that can use DLP technology, including selective laser sintering 3D printing, dynamic laser marking for thermally sensitive coatings and ink-based digital color printing, and new technologies that arise as material scientists introduce new materials in these markets. Start evaluating DLP technology for your NIR system. Download the data sheet for the DLP650LNIR 0.65 NIR wide extended graphics array DMD and its DLPC410 controller. Get the DLP650LNIR DMD evaluation module. Great overview and value proposition.